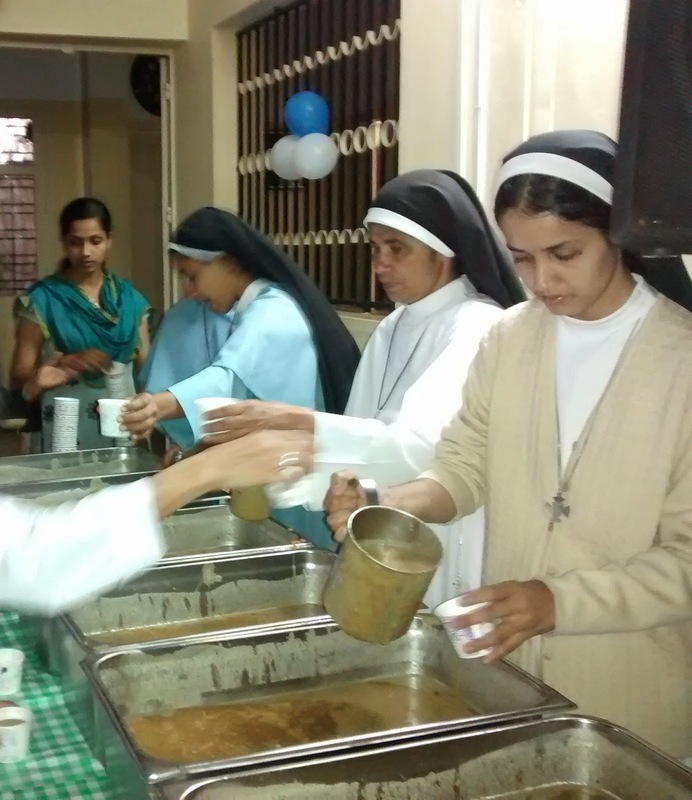 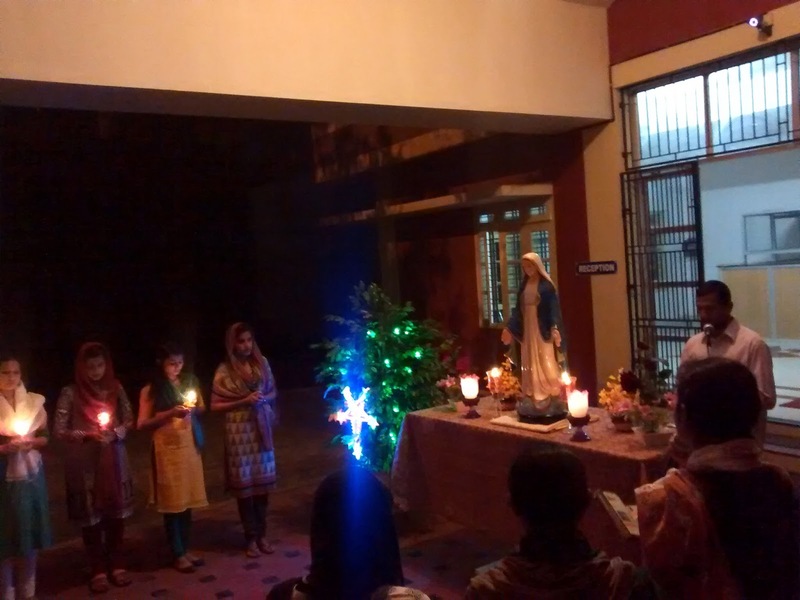 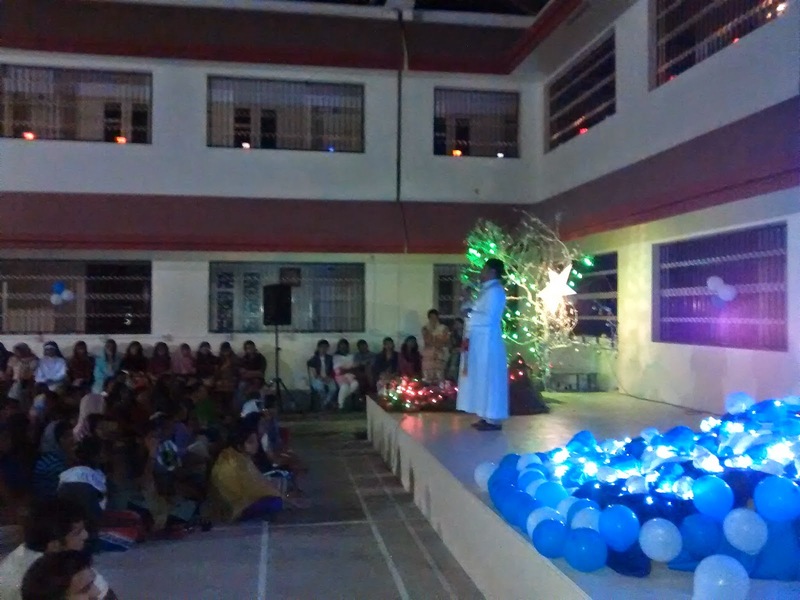 A Rosary Procession had been held on 16th December 2014 under the auspices of CSM unit of the college. 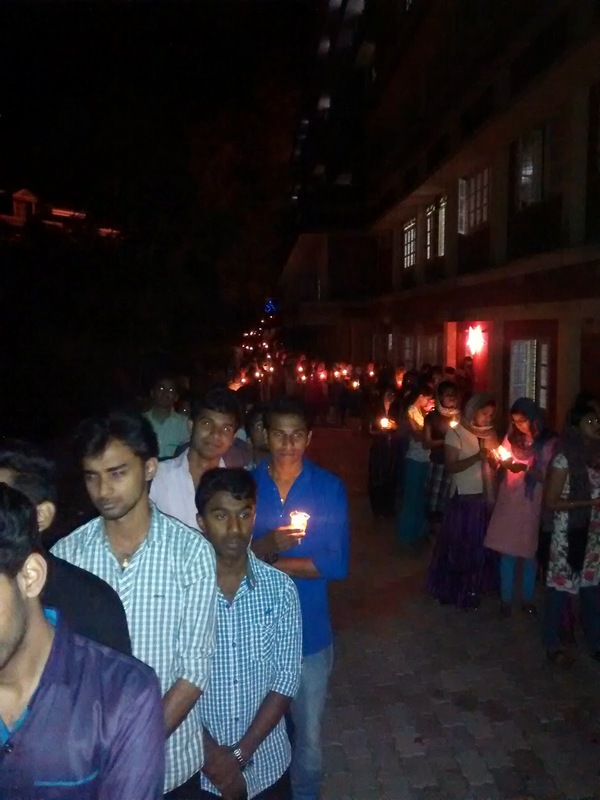 More than 500 students participated in the procession. 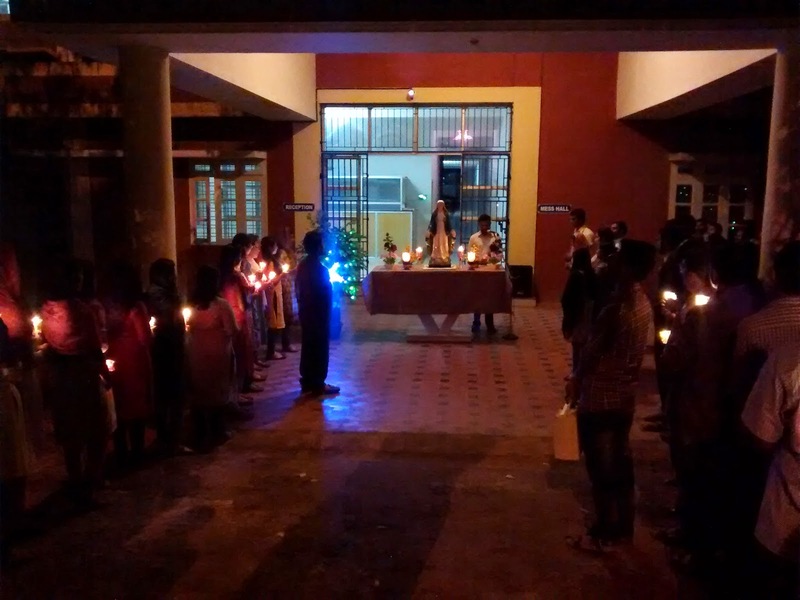 Rev.Fr.James Kozhimala and Rev.Fr.Jose Chittadiyil led the procession. 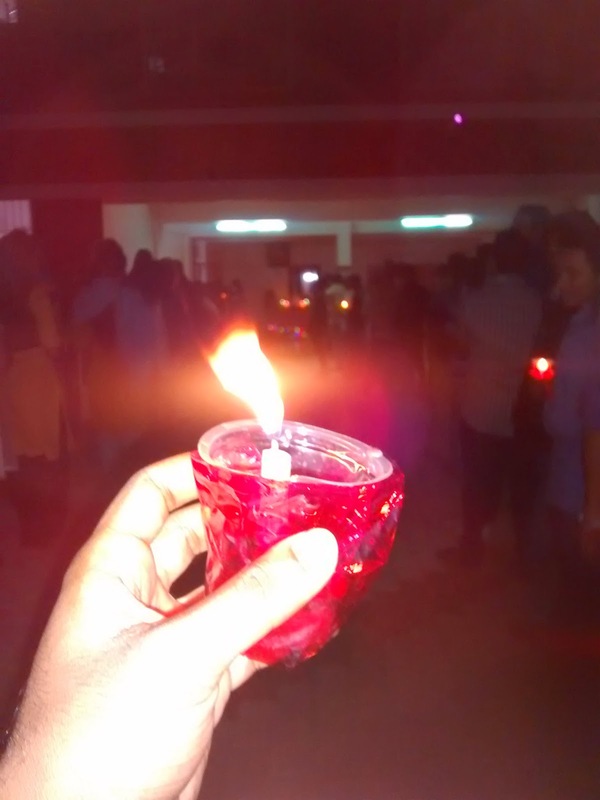 The procession started from college chapel by 6.00pm and passed through MIIM, Paul Iby, Maryknoll and Marian hostels and ended finally at S.H hostel. 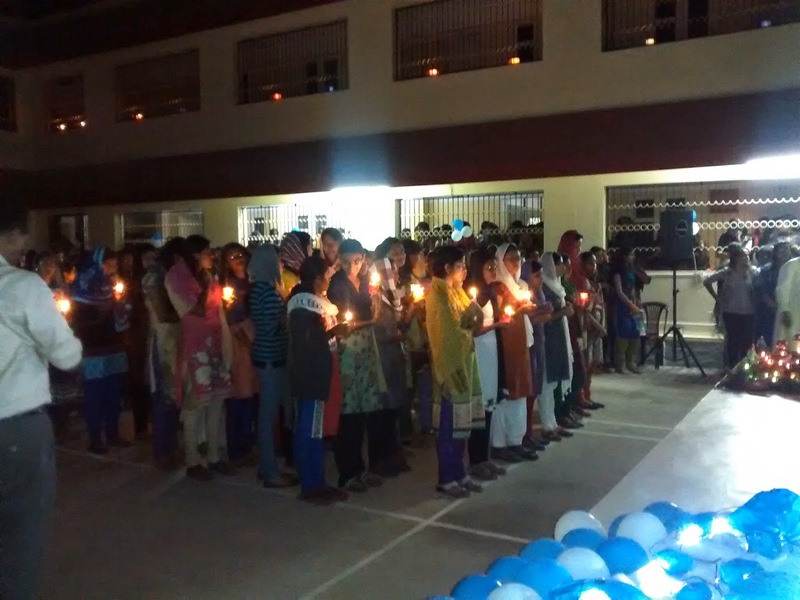 Students prayerfully participated in the procession carrying lighted candles. 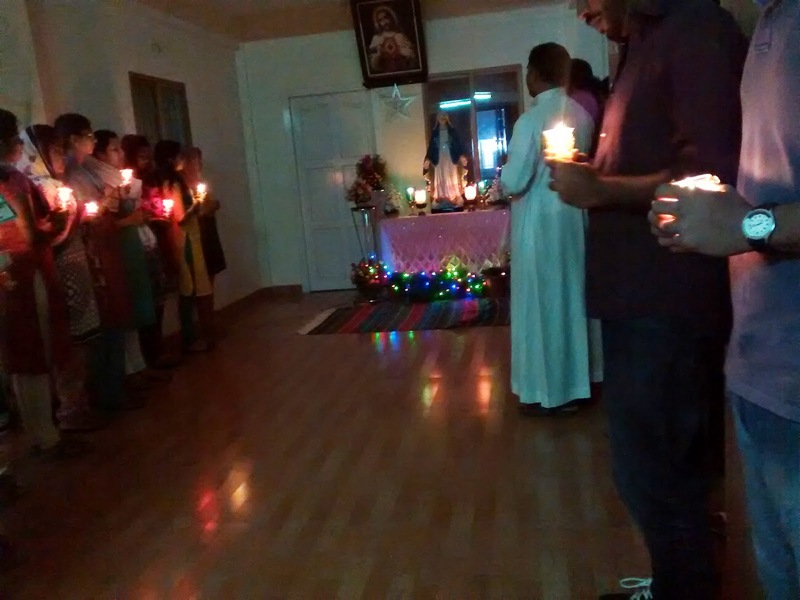 Finally at S.H hostel, a concluding message has been given by Rev.Fr.Robin Pendanam, an alumnus of our college presently serving as Vicar of St. Alphonsa Church, Elappara. 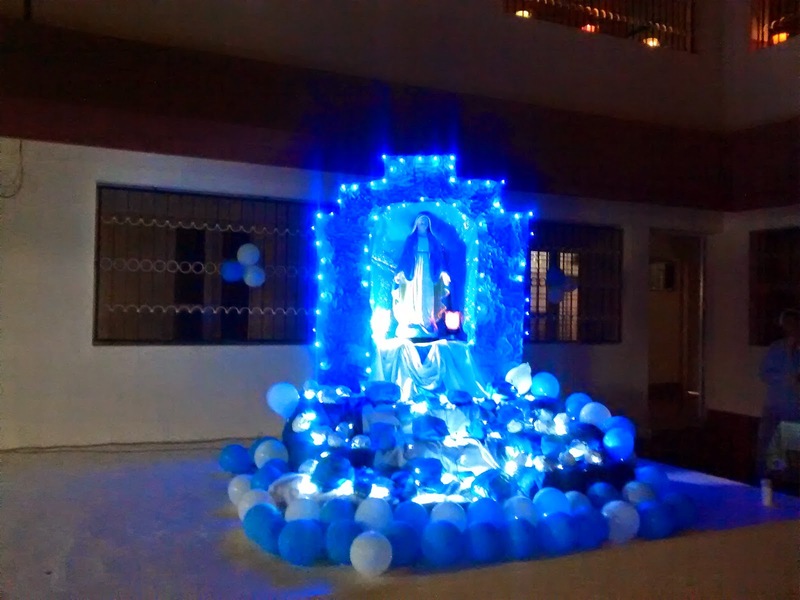 The procession was an occasion to proclaim our veneration towards Blessed Virgin Mary, the heavenly patroness of the college.